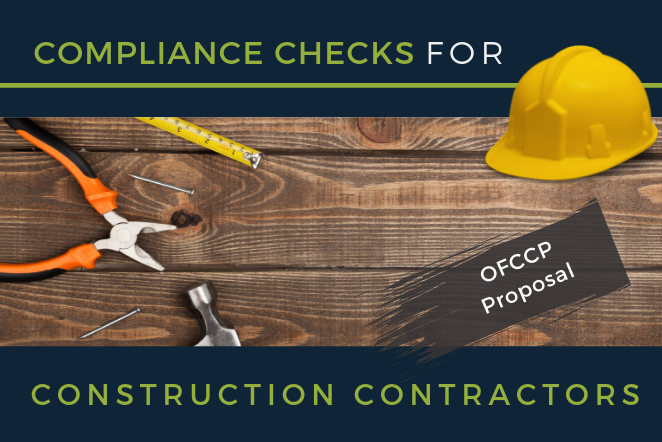 Continuing its focus of ensuring the agency is covering all types of government contractors’ compliance with their affirmative action obligations, OFCCP has proposed to conduct compliance checks for construction contractors with direct federal contracts and federally assisted contracts. Comments on the proposal are due June 7, 2019. 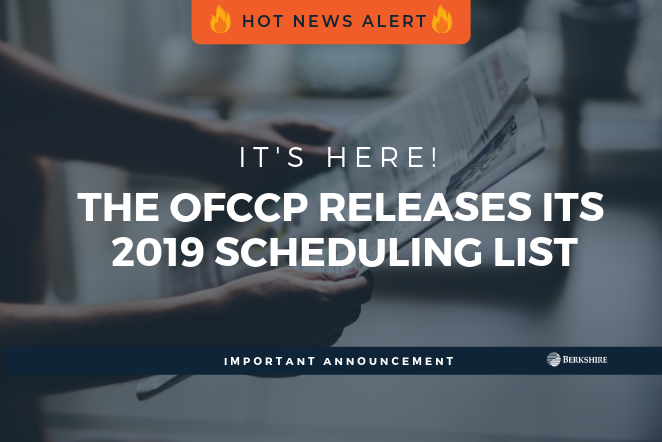 The OFCCP has published the FY2019 Supply and Services Corporate Scheduling Announcement List (CSAL) on its website. 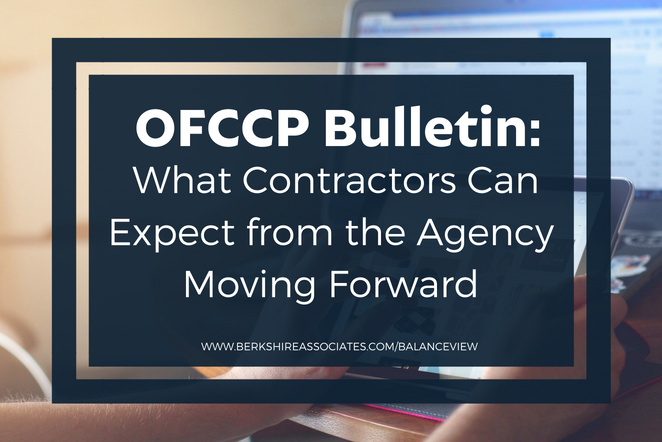 As mentioned previously, OFCCP will not send courtesy letters to contractors that the agency plans to review, prior to sending the scheduling letter. OFCCP has instead posted the list of 3,500 planned reviews. 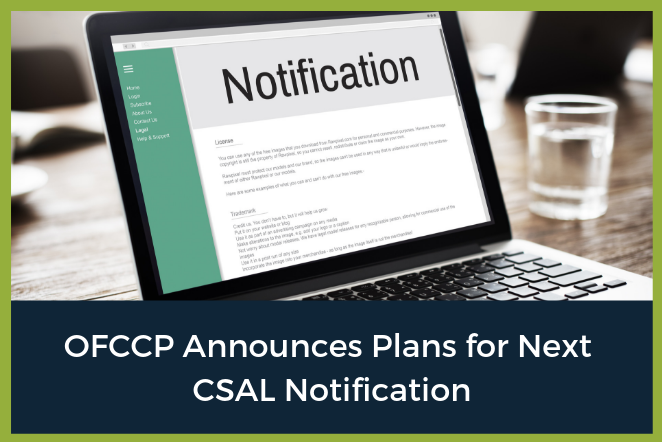 The OFCCP announced its plan to post the next Corporate Scheduling Announcement List (CSAL) in its FOIA Library in mid-to-late March. This will be the only notification to contractors as there are no plans to send mail notifications to establishments on the list. 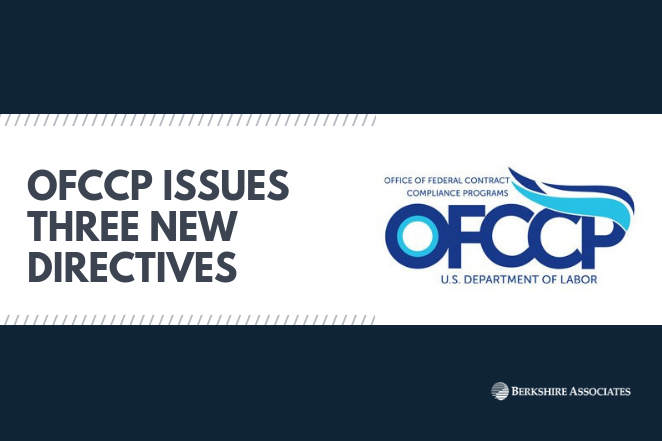 Contractors are strongly encouraged to subscribe to the OFCCP’s email updates prior to March. Use the link here to sign up. Do you know SAM? If not, you should! Although it’s not entirely clear how the agency plans to do so, OFCCP has stated its intention to identify contractors who fail to certify their Affirmative Action compliance for audit review. This certification is currently required as part of the Government Services Administration (GSA) System for Awards Management (SAM). Every organization who does, or wants to do business with the federal government is required to register their company information on SAM. As part of the registration, the company representative must attest to several requirements. One attestation is that the company either has developed an AAP, has AAPs on file or they are not required to have an AAP. 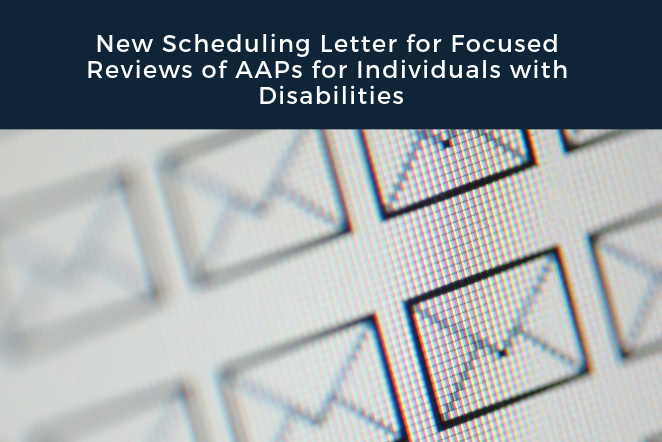 OFCCP has received approval for a new scheduling letter to be used for focused reviews of Affirmative Action Plans (AAPs) for Individuals with Disabilities (IWD) under Section 503 of the Rehabilitation Act of 1973. The purpose of the more focused reviews is to reduce the burden on contractors by limiting the scope of the review. According to the OFCCP, “A focused review is smaller in scale compared to the compliance review that is initiated when a contractor receives the Scheduling Letter/Itemized Listing.” The focused review narrows the focus to about one-half of the information requested on the standard Scheduling Letter/Itemized Listing. The OFCCP has issued three additional directives. Directive 2019–02 outlines the process the OFCCP will use for early resolution of identified violations. 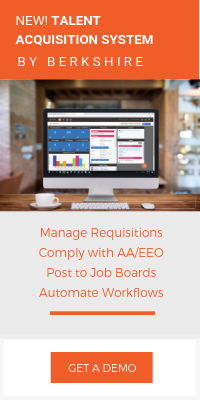 With the Early Resolution Procedures or ERP, OFCCP and contractors with multiple establishments can agree to resolve problems quickly with a variety of actions, dependent upon the identified violation. 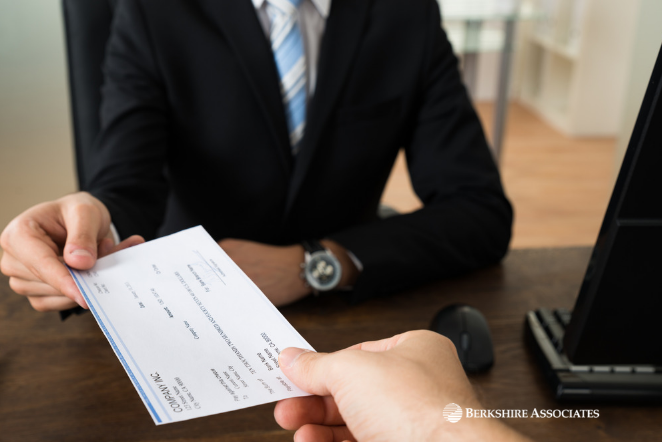 In their fiscal year 2018 reports, the EEOC and OFCCP report combined monetary settlements of $521 million to victims of workplace discrimination. It was reported that $505 million in funds were paid to settle EEOC complaints, benefiting almost 68,000 people. An additional $16.4 million was paid to 12,000 workers based on findings by the OFCCP, primarily in the area of compensation violations. 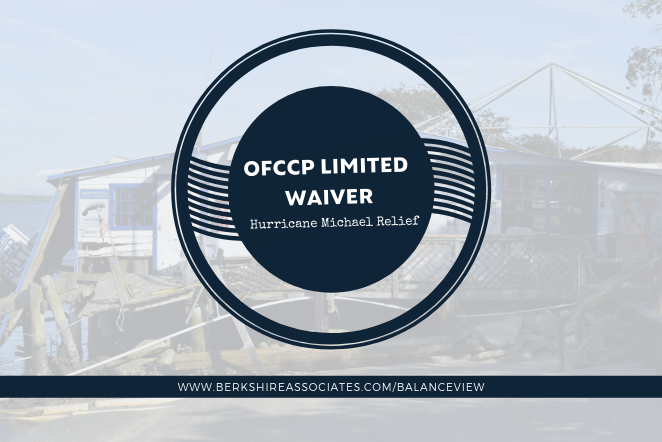 On Monday, Craig Leen, Acting Director of OFCCP, issued a National Exemption (NIE) Memorandum to federal contracting agencies notifying them to grant a limited exemption to new supply and service or construction contracts specifically created to provide Hurricane Michael relief. This relief effort is similar to what was done with new federal contracts to provide relief for Hurricane Florence last month. 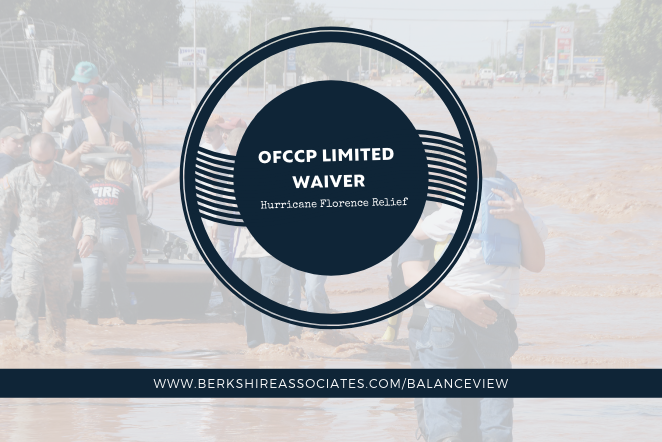 On Monday, September 17, 2018, Craig Leen, Acting Director of OFCCP, issued a National Exemption (NIE) Memorandum to federal contracting agencies notifying them to grant a limited exemption to new supply and service or construction contracts specifically created to provide Hurricane Florence relief.